Hi, I’m Triniti! I’m a Cuddle Queen with a Masters in Snuggle. I need a new home where allergies don’t keep me from cuddling my human all night, since that’s what makes me happiest. I get around just great on three legs and am an impressive feather huntress. If I see an empty lap, I’ll usually leap at the opportunity to be affectionate. My ideal home is a quiet place with someone looking to share lots of love and attention. Could it be you? I like to stay indoors since there are too many dangers outside for a tripod. 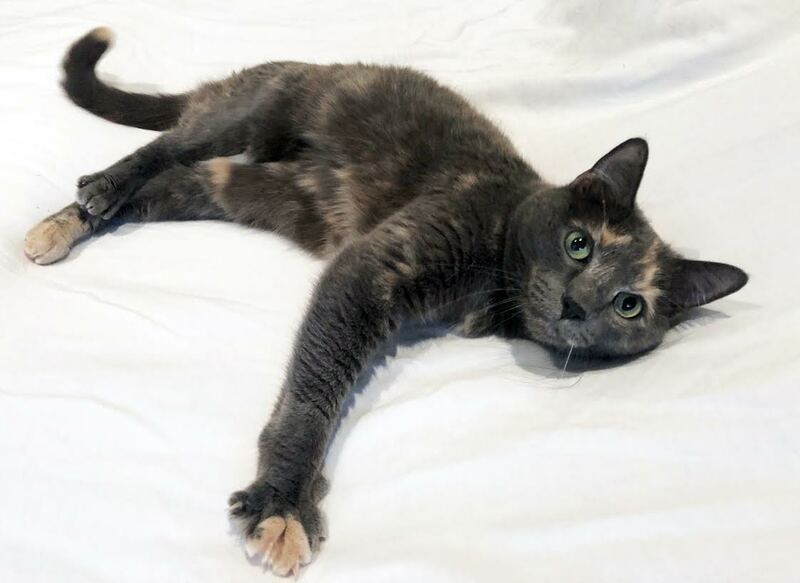 I’m a petite 8-year-old and in purrrfect health: spayed, vaccinated, micro-chipped and perfectly toilet trained. Dogs and other cats might be too much for me, but people are my favorite and I just know my forever person is out there, waiting to meet me!